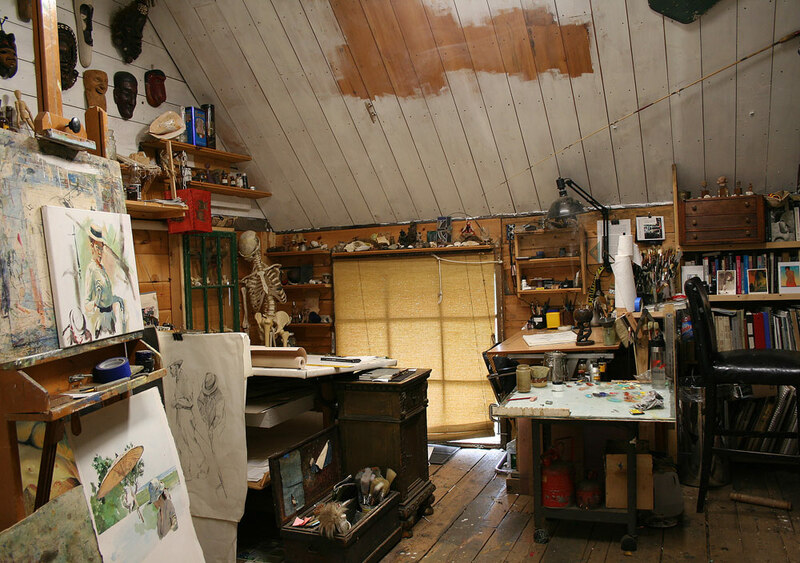 I have always been interested how other artist’s have their studios. Are they neat and tidy? Chaotic? Eclectic? So, along this vein, I thought I would start a small series of images, when I trip over them, of other artist’s studios. Here is mine to start this off. I did clean up recently, but I seem to have a lot of projects going at once and this results in, mess…but it is my mess, so it’s okay.